Brutal Age: Horde Invasion’s gameplay is very similar to Mobile Strike. You spend the first few days building, upgrading and strengthening your base before you start invading other players. At first, you will have to follow the game’s building/upgrade suggestions if you want to amass lots of resources. After every successful construction or upgrade, you will receive rewards like food, wood and XP. Once you are confident and know how to play, you can ignore suggestions and start exploring your base, your buildings and the battle map. Increases your clan’s help effect by 30 percent. You will have to join a clan to enable this perk. Trading tax will be reduced by 30 percent. Lets you collect resources frequently. Decrease in construction time by 5 percent. Reduce your target enemy’s defense by 5 percent. War Camp: Building the War camp will let you train various types of ready-for-battle men and women. Upgrading the War Camp will increase the speed of training your troops. At level 1, it’s only 1 percent but as you level up, the speed boost will increase by 1 percent. At level 6, you will get a +2% speed boost (7 percent) and at level 7 you will get a +9% speed boost. War Hut: Building and upgrading war huts increases warrior training capacity. The capacity starts with +10 at level 1 and then increases by +5 per level until level 7. When you level-up a war hut, the number of troops you train increases at the War Camp. Healing Spring: Constructing and upgrading this building will heal your wounded troops. With every upgrade, the speed at which troops heal will increase. At level 1 it’s 1% and thereafter it will increase by +1. So at level 2 it will be 2%, at 3 it will be 3% and so on. At level 6 and 7 you will get +2 percent boost. Healing Well: Building the Healing Well will increase the number of troops healed by the Healing Spring and upgrading the healing well will increase wounded troop capacity. Warehouse: Warehouse lets you store and protect resources from invaders. Upgrading it will increase resource protection amount. At level 1, 100000 resources can be protected and thereafter it will be increased by 50000 with every upgrade. Building more outposts will let you expand your base. Outpost Portal can fulfill your base expansion dreams. You will have to upgrade this structure at level 4 if you want to build another outpost on unoccupied land. Once you have upgraded it to level 4, tap the world map icon at the bottom left corner of the screen, find a suitable piece of land (should be unoccupied) and press the “Build” button. A new screen will be shown. Make sure you have enough food and wood to build a new outpost. Once you build a second outpost, you will get +200 Power, +500 EXP and +9 territory bonus. Try to build the second outpost closer to your first to expand your base. If you want a stronger outpost, then research Outpost tier 2/3/4/5 at the Temple of Wisdom. Tap this structure and then tap the “Outpost” icon. You will have to fulfill certain research requirements before you can research stronger outposts. For example: To research tier 2 outpost, you will need to research “Outpost Durability” first. Another benefit of upgrading the Outpost portal is that it increases your troop march capacity, so the next time you invade other player’s outpost, you can take more troops with you. Upgrading the watchtower to level 3 will help you know the estimated arrival time of enemy troops. At level 1, you will only get the name and clan of the opponent. At level 6, you will get complete info about the total number of troops of the march. Once you have upgraded to level 3 or 6, Tap the watchtower and then tap the blue “Military Info” button to get alerts of incoming marches, if any. When you join a clan, you not only join an active group that helps you construct buildings faster, but also get access to a special clan store that lets you buy items like advanced teleport, gathering boosts, peace shields, defense boost, and speed ups. To join a clan, tap your horde flag at the lower-right corner of the screen. You will see a list of clans. Try to join a clan that’s open for all. Tap the “Green Join” button to get instant access. You can seek “Help” for those structures that take more than 5 minutes to complete. A handshake icon will appear over a structure that’s being upgraded. Tap that icon. The same handshake icon will then appear on other clan members’ screen and they will have to tap that icon to help you. Once you receive help, your upgrade time will be decreased to a certain extent. Before joining a “free for all clan”, make sure it has plenty of members as you may need quick help to reduce upgrade/build time of structures. Chances of getting instant help are more if a clan has lots of members. You can increase the amount of help received from clan members by upgrading your Stronghold. At level 1, you can only receive help from one clan member, but as you progress the help count increases by 1. So at level 2, two clan members will be able to help you and so on. The more clan help you receive, the faster will be your building/upgrade time. Note: You cannot receive clan help for researching technologies at the Temple of Wisdom and training troops at the War Camp. 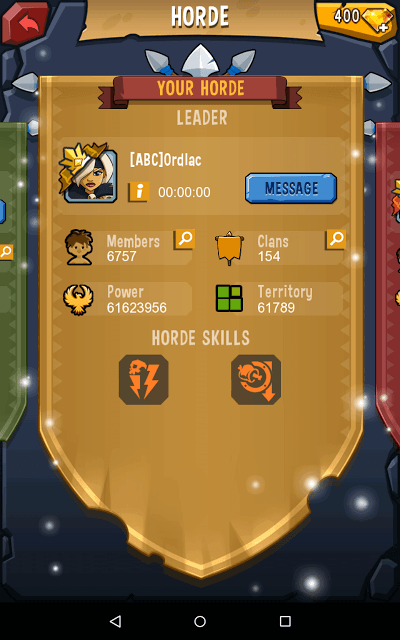 Clans that let you “Apply” to join are a bit choosy and so your recruitment depends on your power, current level and other stats. You can also build your own clan by tapping the big “Create” button. You can quit a clan by tapping its icon, which is located at the lower-right corner of the screen. Once you see your clan’s screen, tap the “Manage” button and then press “Quit Clan”. Do note that you won’t get any clan benefits. However, you get to keep the clan coins you have earned so far. Clan coins can be used to earn items such as speedups, teleports, name and avatar changes, gathering and attack boosts, peace shields etc. To get clan coins, keep helping your clan members. You will find the help button (handshake icon) appear at the lower-right corner of the screen. When you spot one, tap it to help all members at once. You will receive clan coins based on the number of members you have helped. The total number of coins you receive can be seen at the “Clan Store” (tap your clan icon at the lower right corner of the screen to access clan store). Completing clan quests is another way to earn coins. Tap the Workshop building and then tap “Clan Quest”. Press the start button to begin a quest. It may several minutes to complete one, so have patience or use speed boost items to decrease the time taken to complete one. Once completed, you will receive EXP, resources and clan coins. When you send your troops to attack an outpost, you can see the time taken for your troops to march from your outpost to enemy outpost. Now the march time taken for moving from one outpost to the other is usually less if the enemy outpost is near yours. However, in case you want to attack an outpost that’s quite far away from your territory, you will have to wait for minutes, even hours if its located very far. In such situations, you can use a march speedup item, but that will cost gems. The best way is to spend talent points on “March Speed”, which can be found under the “Growth” tab. To get access to Talents, you will have to tap your profile, which is located at the upper right corner of the screen. Another way to boost march speed is to research the “Attacking March Speed” technology at the Temple of Wisdom building. Tap this structure, and then tap “Research”. Now press the “Outpost” button and you will find march speed section under “Outpost III”. To unlock Outpost III, Your Temple of Wisdom should be at level 12 and you will have to research healing speed level 3, territory gathering bonus level 3 and hospital capacity level 3. 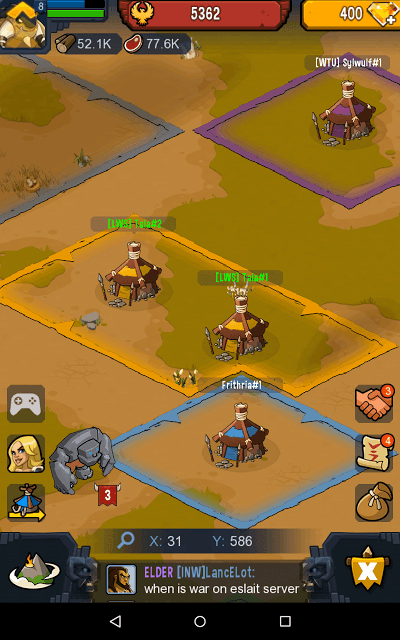 To send your Troops to two different outposts at once, you will have to lift the March Queue limit. The limit can be raised by upgrading the stronghold to level 2. Once you reach this level, you can send troops to two different places simultaneously. At stronghold level 7, you can raise the march queue limit to 3. To teleport your outpost, you will need teleport items that can either be purchased with gems and clan coins or can be received for free. You might receive a teleport item after leveling up. Usually, players get two teleport items – Random Teleport and Friendly teleport. Random teleport will teleport your outpost to a random location. Friendly teleport will move your outpost only within friendly territory. To use friendly teleport, you will first have to locate an outpost that belongs to the same horde. You can easily identify such outposts by their border color. So if your horde color is yellow, then search for outposts that have a yellow border around them. Now tap inside the friendly territory and press the “teleport” button. Next, press the “Use” button beside “Friendly Teleport”. 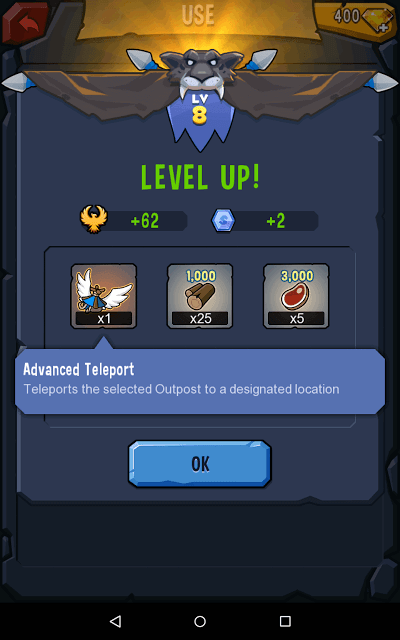 But if you want to teleport your outpost to a desired location, use “Advanced Teleport”, which can be bought by paying gems or can be received as a reward. I got this teleport item for free after reaching player level 8. To use Advanced Teleport, go to map and tap on the desired location. Now press the “Teleport” button and use this item. Tap the big birdie balloon to access events. Next, tap the ongoing event to know its rules. You will earn points by following certain event rules. And the more you score, the faster you will reach the reward target. For example: In Power Up event, you will have to follow rules like recruit, research and build to earn power. You will get +10 for every 1 power you get and -10 for losing one power. You lose power in case an enemy invades your outpost and wins. You also lose power when you attack an enemy outpost and lose. Events also provide bonuses. The Power Up event, for example, provides 20 percent more EXP from hunting. So you will get extra EXP until the event is live. You may receive loot (food, wood etc.) by attacking an enemy outpost. However, sometimes, your troops will return empty-handed or may bring back very less resources. This is because the target enemy has protected his resources by building and upgrading warehouse. If the resource protection amount is more than the total resources amount produced by your enemy, then your troops will get 0 loot. However, your enemy will lose some power if he fails to defend his base. Tap the squirrel to get a reward. Rewards are usually wood and food, but there are chances of getting useful items such as speed bonuses, gathering boosts etc. Don’t forget to tap “Burning Fire” to get an additional perk. You may get troop attack boost or gathering boost. Just make sure you tap this structure when the icon appears. The perk lasts for 8-9 hours. Research new technologies at the Temple of Wisdom. There are 3 main research subjects: Development, Battle and Outpost. Under Development, you can research technologies related to resource production, construction speed, meat gathering, mana production and gathering, extra marching slot, ivory gathering and production etc. Under Battle, you can research battle-related technologies, such as scouting, training speed, new and improved troops, increased troop defense, troop attack and special troops like Dragonmaster, Valkyrie and Marauder. Under Outpost, you can research technologies such as outpost durability, territory gathering bonus, healing speed, hospital capacity, clan-gathering-attacking march speed, advanced outpost and finally additional outpost. What is CD cost? What does cd stand for? When you level up your divination cd cost goes down but what is cd? CD stands for “Countdown”. When you upgrade the Divination platform to level 7, you reduce the countdown of free divination by an hour. Can anyone please explain how to fish? I don’t find any shining tile even after searching for 10 minutes. There is 2 type of fish in brutal age. One is normal and another is rare. Rare tile is very hard to find. Normal you can easily find. Try to search in corners of the map as only few people search there. I’m at stronghold 8, and to get to stronghold 9 it looks like I need about 200k rocks. I never get rocks from any anyone, and I haven’t needed them before. I don’t have anywhere near enough gems. Is there any other way to get rocks, besides just paying cash for gems, or is this just a trick of the game designers to make sure you spend money? 1. Hunt Giants to get Stones. They usually appear soon after you reach player level 9/stronghold level 7 or 8. Search the map for giants and kill them to get stones. 2. There’s also a chance to get stones from “Clan relics”. Tap the chat section on the bottom of the screen and then tap the “Clan” tab. Press the green “Get” button to get resources, including stones and other goodies from clan members. You should join a clan to access the members section. 3. You get 10000 stones when you bind your account to Facebook. To link your account to FB, go to settings. 4. Spend Talent points on “Stone Production” under “Growth” to increase stone production speed. Talent can be accessed via profile. 5. Research “Stone Production” under “Development” to increase production speed. You will need to build Temple of Wisdom to start researching. 6. Place your outpost close to rock formations to increase production. You can use teleport to do this. Press somewhere within your ‘square’ and you have the option to terraform, you can then choose whichever resource you are short of. To start with you have 6 terraform squares. Why my village doesn’t create ressources ? How can I change my Color/Horde? I have been playing as a green but just found friends who are yellow and can not figure out how to change color so that I can join them? How do I get a different base look like a green house? If you look in Members list, you see colored circles. Green circle with darker green dot in middle is active within last 24 hours, red is inactive over 24 hours, gray is inactive over either 48 or 72 hours. I’m not sure, but that’s how you see if someone is active. Solid green is currently online, but you can only see that as rank 4 or 5. To update a stronghold to level 6 there is information that my server migration items will disappear. What are they? Where I can find them? It’s in the bag, on the lower-right corner of the screen. Tap it and then go to “My Items” to find server migration items. Who and when does another member gets appointed as leader when current leader is not active? Very helpful article. But I have a few questions I didn’t see addressed. I’ve seen around some camps, trees or cliffs, or nests with eggs that have wood/rock/meat productions and owned by the camp near. How does one get those? Also is there a way to help a clans men that’s being attacked but not logged in? 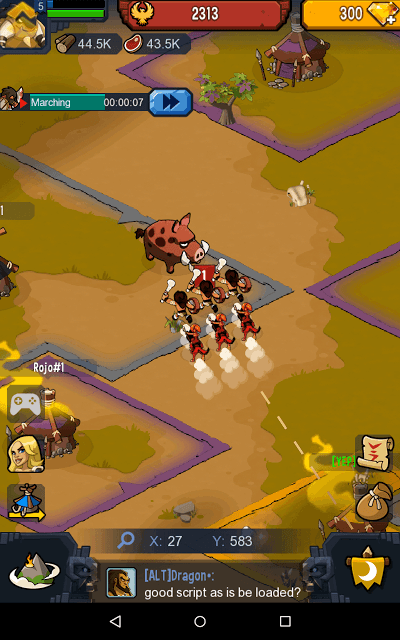 All I seem to be able to is watch and attack the foes camp….and watch my clans men camp burn. I was rewarded “spears” but not sure where they are now or how to use them on hunts. Thank you for your help and the game. What’s the point of migrating server before stronghold 6 ? 1. Hold at level 5 and max out your construction, research, talent and army size, then jump to a brand new server. You’ll have a big head start over the brand new players who are starting out at level 1 with like zero power and zero troops. 2. To join your friends on another server. Hey when I zoom out and it shows our bases on the map, where can I set them so my clan can see them?They can only see one base which is my number 2 outpost. How can I fix this to see all of them? You can message your outpost’s co-ordinates to your clan to let them see it. To know your coordinates, tap your outpost they will be displayed just underneath your character’s icon. 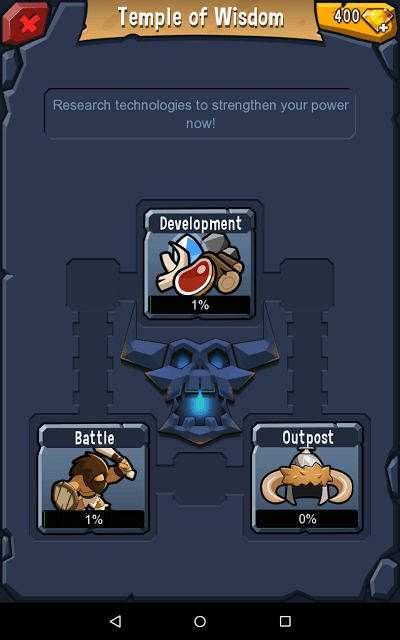 Your clan will then have to enter your outpost’s co-ordinates (X:, Y:) by tapping the blue magnifying glass icon on the bottom of the map screen to find your outpost. How do you switch hordes after playing for 3 weeks ? I have the horde item but don’t know how to use it? Actually you don’t need to have them type in the co-ordinates. On the big map, just click on any outpost you want to share (whether it is yours or someone else’s), then click the share button (looks like three dots connected by lines) and then select where you want to share those co-ordinates, whether in clan chat, horde chat, world chat or in a message. I want to join my friend’s clan, but we can’t find it and we believe we are on different servers. Is there a way to switch servers? How can I use smileys in chat? You can use smileys in chat in the same way as you would use them in any chat app. On your Android device, while chatting in-game, tap the smiley icon on your keyboard and then tap any smileys of your choice. Press the send button. This game’s customer service s***s big time. They are ignoring all issues and blaming players. Any venue to submit complaints? Have you tried sending a message to their official FB page (Facebook.com/BrutalAge)? According to their page, they reply within a few hours. You can also post your complaint publicly or comment on their Facebook posts. Hello, great article. Is there a way to protect mana? 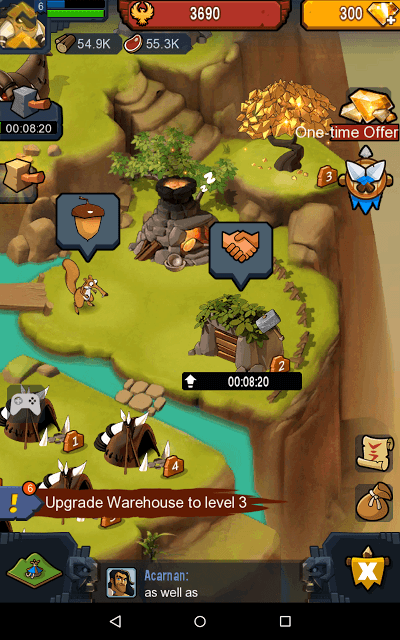 You will need to build a Warehouse and upgrade it to level 25 to protect up to 2000000 mana. You can also protect mana with certain blue runes. Nice tips. I will try it. Thanks!